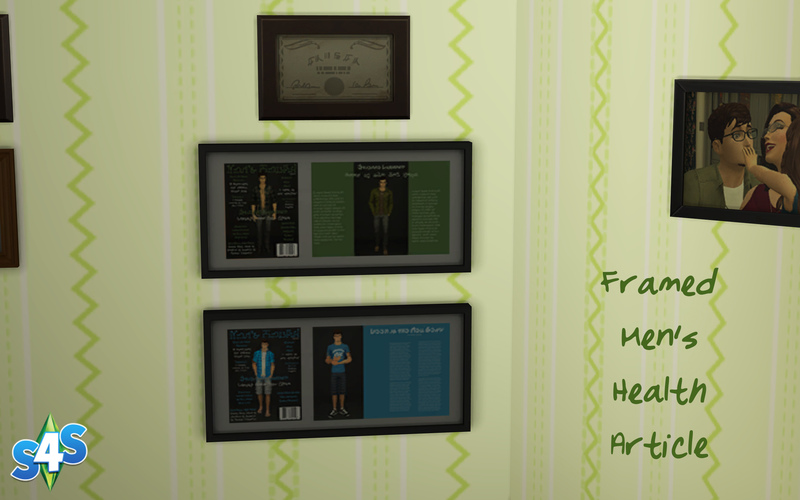 I really have too much time on my hands, so I made a few Men’s Health photo spreads of my main Sim Étienne in Photoshop and InDesign. Then, I decided to turn them into framed wall hangings. 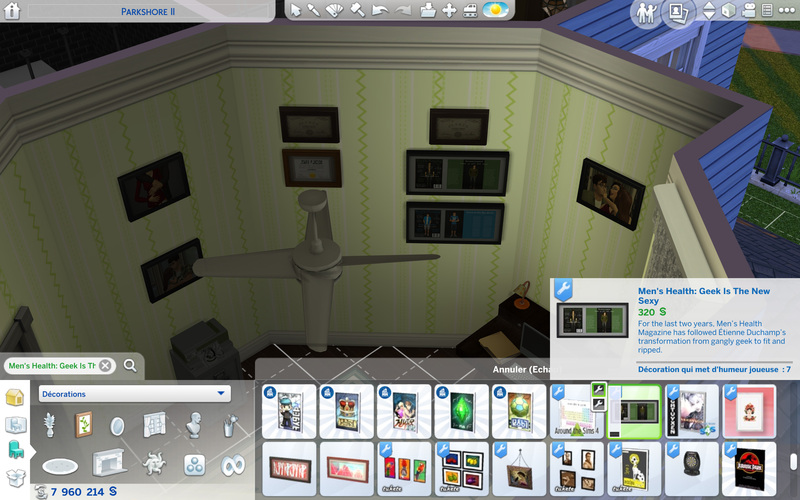 I am submitting them to the Simmer community to add more deco to their walls, because why not? This is a standalone object. Necrodog for the ceiling fan in my pics and to all of the CC creators whose objects appear in my Catalogue. AA�tienneMHArticleJuly2018.zip | Description: Updated for 1.51.75. Delete the old version before placing this one into your Mods folder.